It’s mostly so that we could make good time since our list is growing longer by the day. (I’m not the only one scouting for new places to eat at now. I really appreciate your input and finds, eatsplorers, Ela and Jo!) For the past few days, P3 and X+1 have been here, there and everywhere in the name of our food quest. 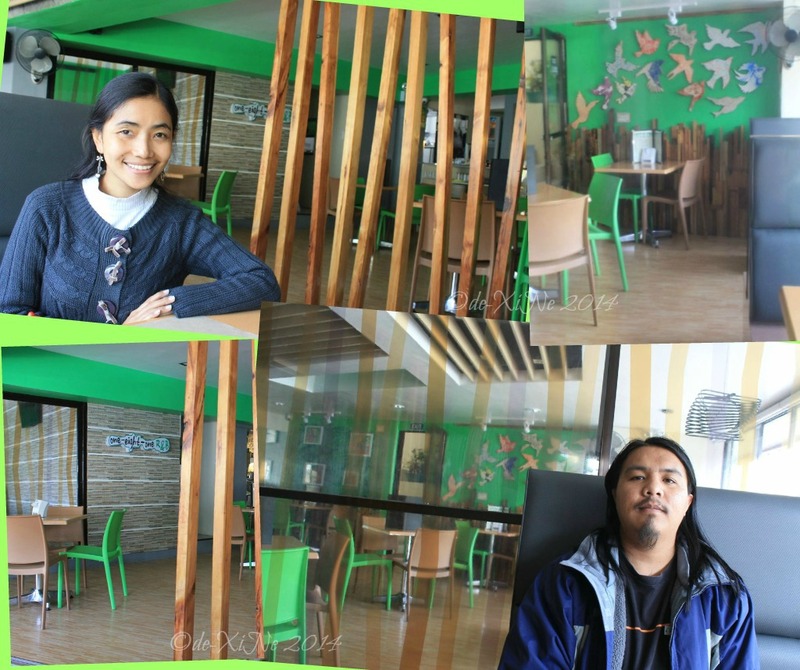 Let’s start with a booth that falls in a number of categories, Simple but Staple, Student Fare as well as Eats Around Baguio. 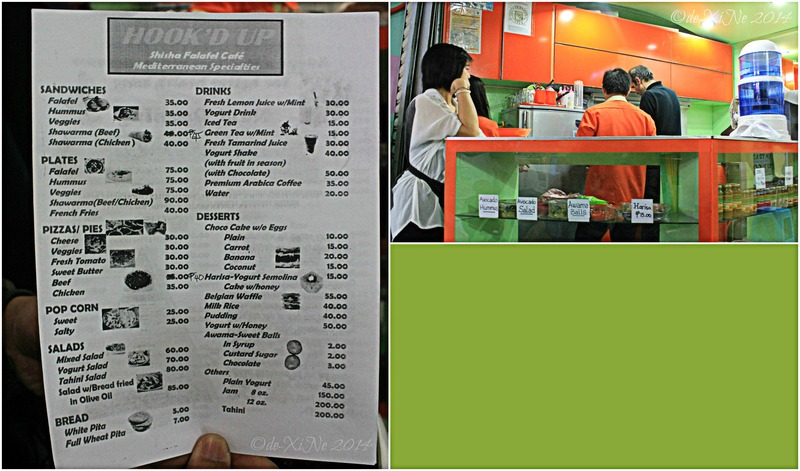 *click on photo for a larger view of the menu UPDATE 10/22/2014: Updated menu on the Hook’d Up FB Page. 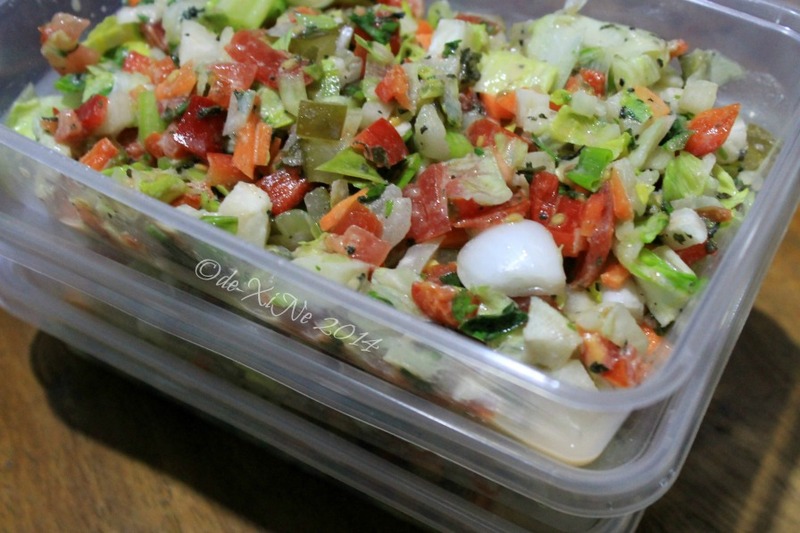 Tahini salad … order upon order (that makes three =b) of it. Race and I got so intrigued about the other offerings of Hook’d Up that we didn’t stop with ordering salad to go. It was beef shawarma (mega spicy that took away my brother’s cough in a snap \m/), falafel, pita bread to be dipped in hummus and a yogurt drink while waiting, one day; and then chicken shawarma (still mega spicy), more pita, this time to be dipped in avocado hummus, the next. 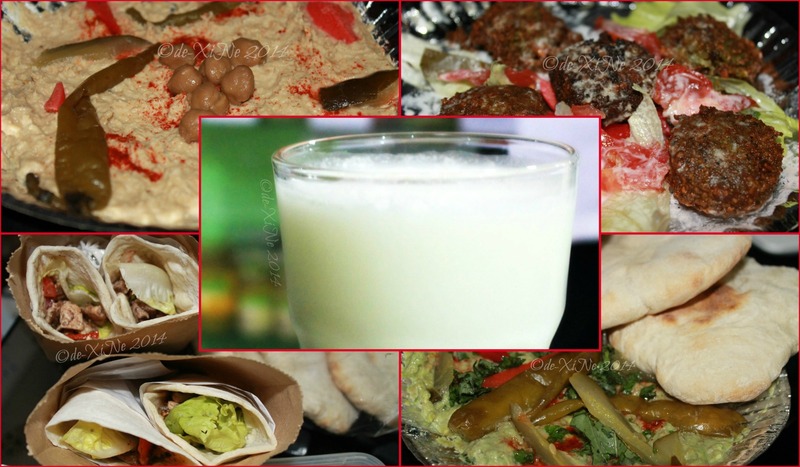 Clockwise around the yogurt drink: Hummus, falafel, avocado hummus and pita bread, chicken and beef shawarma. Service: Friendly, accommodating, service with a smile, there’s nothing more I could ask for from the staff as well as the owners of Hook’d Up. Nice going, guys! Ambiance: TBD, once they open their dining establishment in the lower floor of this very building, the game is on (again =b). UPDATE 09/13/2014: I just got word that their lounge/resto in the second basement is open and ready to serve us all from 10am-8pm. Looks like we’re going to be hooked once again. Weee! UPDATE 08/26/2015: Hook’d Up has moved to the building next to it, Palangdao 2 Building, 2nd floor (across NOVO). Balcony dining plus people watching while lazily enjoying shisha, anyone? *Adding Hook’d Up Shisha Falafel Cafe to my list of resto faves. Hip-hip, hooray! 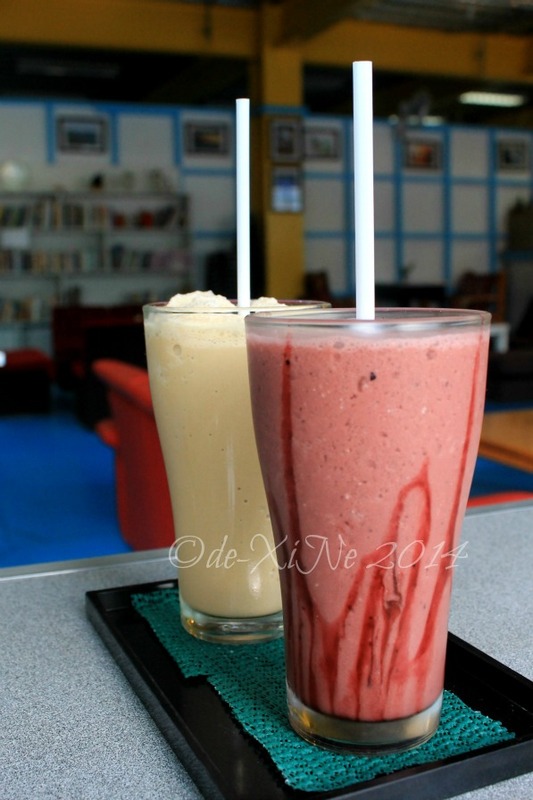 Cappuccino and blueberry frost coolers. 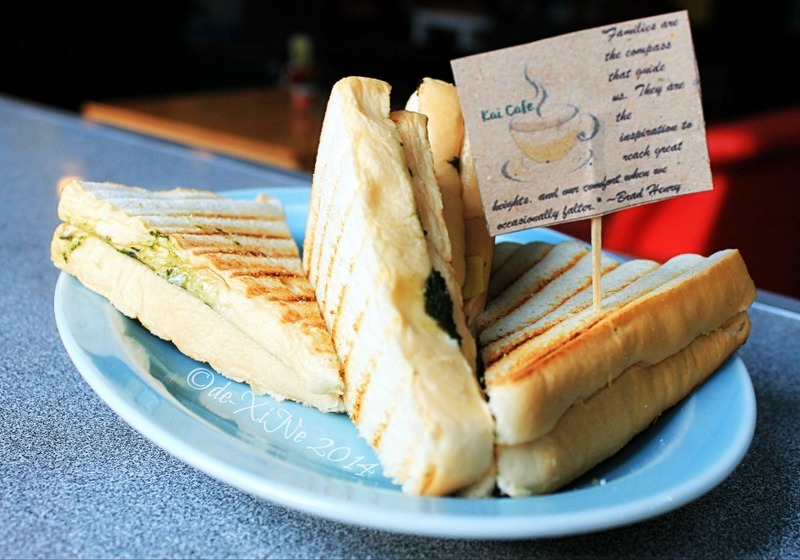 This is a find by another one of our food adventurers, Ms. Fuwa Rinni; thank you so much! 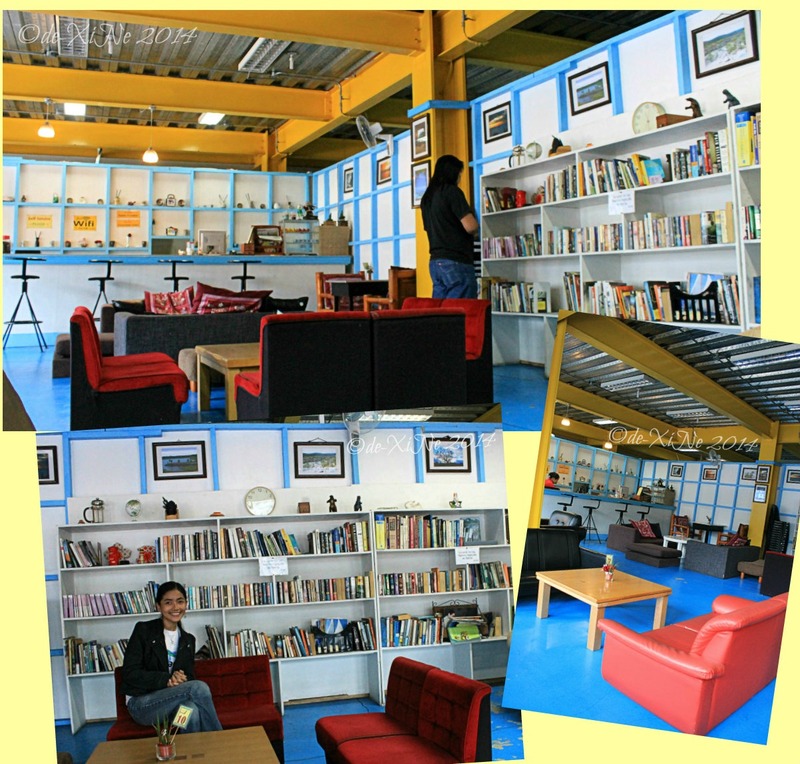 It’s a cafe with a wide area on the second floor of the yellow building across from Shell Gas Station in Km. 4, Pico, La Trinidad. Race’s rice meal was the perfect pick. The serving was neither too big nor too small for the munching spree of a day we had planned out. The vegetables topped on the pieces of meat were nicely cooked and the piece de resistance of the dish was truly juicy and flavorful. I couldn’t stop myself from ordering salad for its curious name. 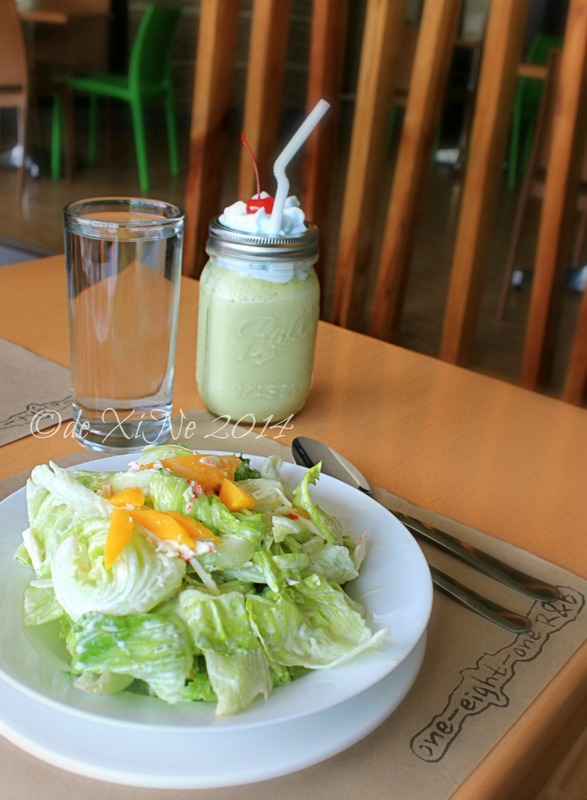 It turns out, it was fruit salad with a twist … the dressing was both sweet and creamy as well as tangy AND salty. Innnteresting … and surprisingly, we kept spearing at the cubes of fruit in the small bowl until it was all gone. Ambiance: I don’t know about you, but I like wide spaces. It’s a plus, plus, plus, too, if it isn’t crowded (lots of different seating places in Kai, very nice!) (although I know what they say about busy restaurants where the food is always fresh since their stocks get replenished a lot *hee). After starting out early for musical chair errands at SSS and Pag-ibig today, we were hoping that the new Bay Leaf establishment would be open for breakfast. 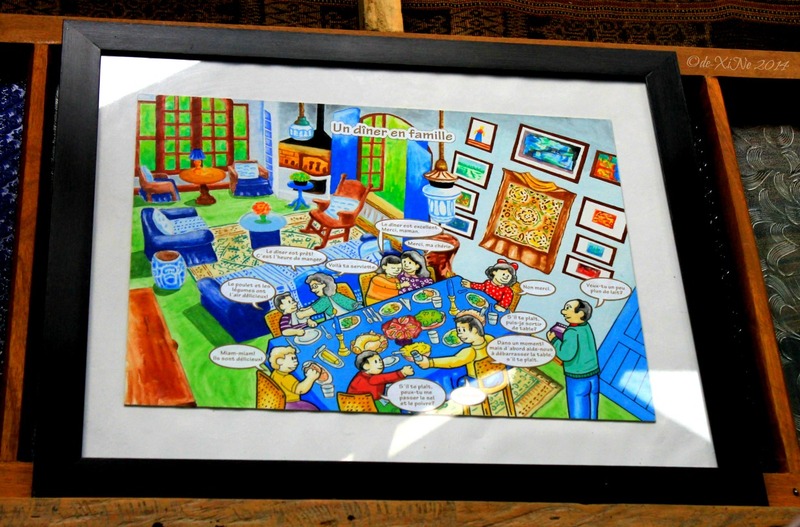 Sadly, it was going to be an hour later from when we finished our business in the Pag-ibig building, and so we opted to go back a few blocks to LeFern’s in-house restaurant, 181 R&B (behind NBI building, what used to be The Gallery). I’ve since had an idea of what they offer at this restaurant and bar, thanks to Ms. Angeline and with so many intriguing dishes on the menu, we had to ask our attendant how this dish came to be named that way, what salamanderized oysters and octopus hotdogs were, etc. We zoned in on the crab and mango salad (I originally wanted Mediterranean salad but that wasn’t available so …), the viand, lechon paksiw with two orders of extra rice and green tea smoothie. The lechon paksiw had a delicious sauce but the meat in it was hard and dry … double dead as our new friend called it, slaughtered and killed a second time in the frying. 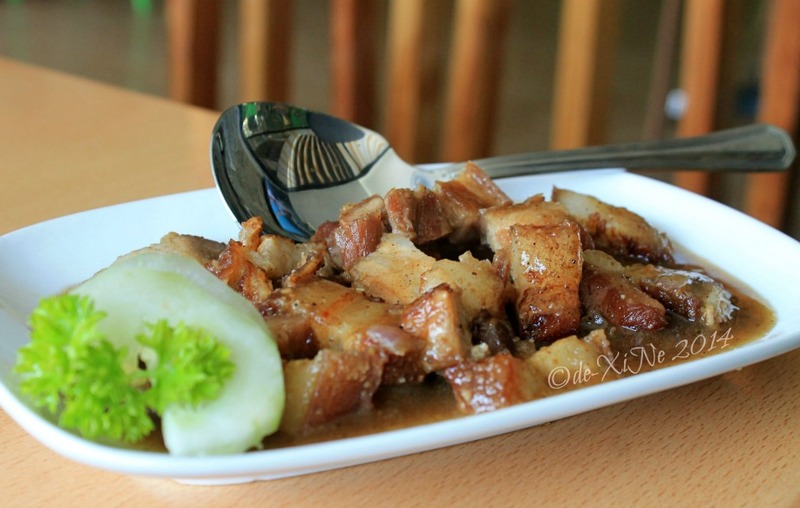 *tee hee With every mouthful with the pork, I wished Race went for the pork humba instead. It also made me think of digestifs, where the French had salads/drinks at the end of the meal to help with digestion. Encore, crab and mango salad! 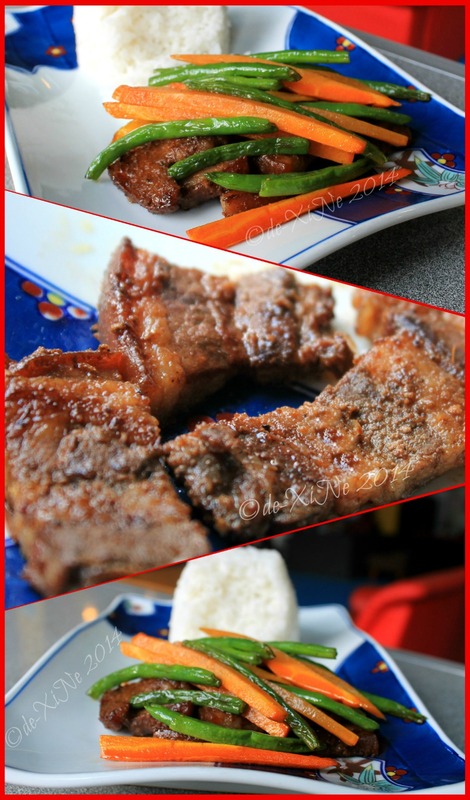 Food: for the salad and for the paksiw with the meat – murdered twice. Ambiance: I do think this renovated look is better than the old Gallery Cafe and Restaurant, however. P3+1 dining at a newfound friend’s home. 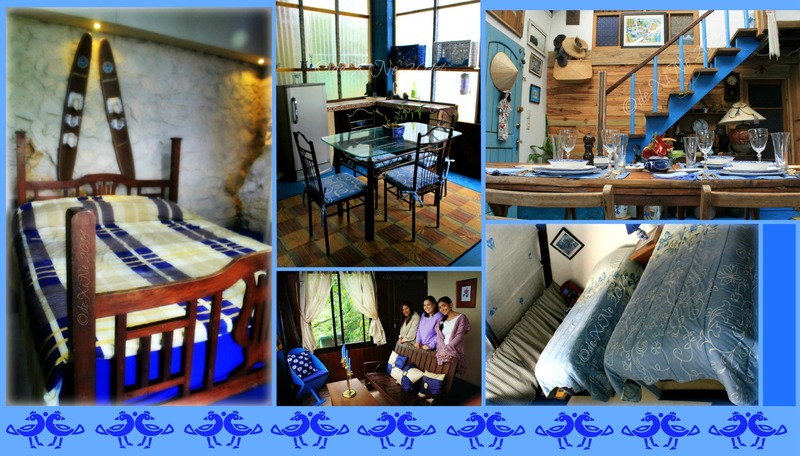 A glimpse into what scrumptious delights could be had at the blue house for someone booked here. X marks Hook’d Up Mediterranean Cuisine (I’m definitely hooked! 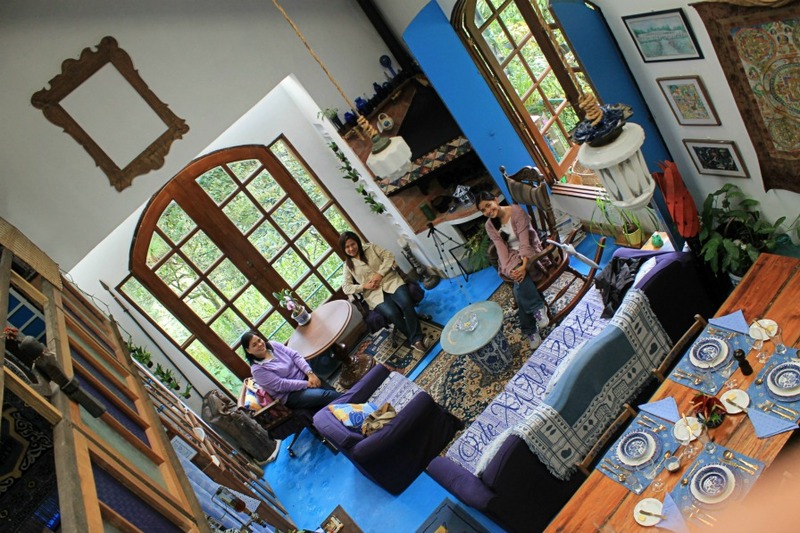 *snickers), Kai Cafe, 181 R&B (… and Le Coq Bleu) for good food in Baguio. 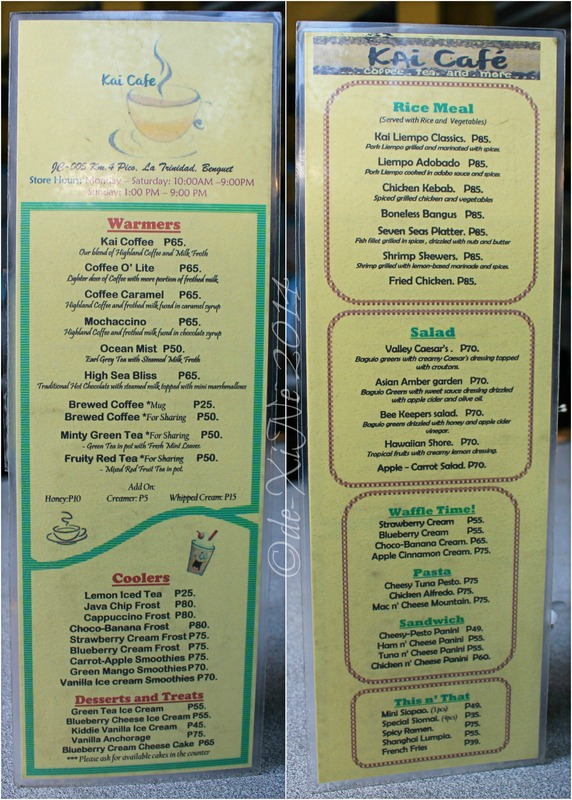 There you go, afoodionados, new eating places in the City of Pines that you might like to check off your lists as well. I hope that will hold you till next week. *giggles Wishing you all, rewarding dining experiences wherever you choose to get sustenance! Heaps of information about Baguio foodtrip, Ill go eat breakfast first and Im coming back again to read more of your posts. 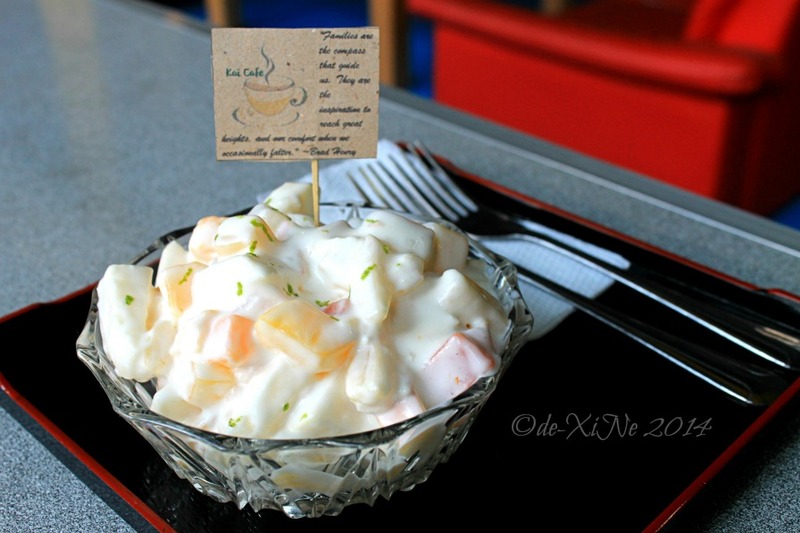 Wondeful food blog for Baguio City! Can you write about restaurants in other places rin? haha More power, Xine and Find Good Baguio Foods. Hi where is le coq bleu located po? ?.and do they have price list?. hi! do you have contact number of Le fern hotel? thanks! Hello there! Sad to say but Le Coq Bleu homestay couldn’t accommodate anyone as walk ins for either lunch or dinner since they’re going to need time to prepare the meals. Hi. Is Hook’d Up still at the same place. I dont seem to find where it is located.